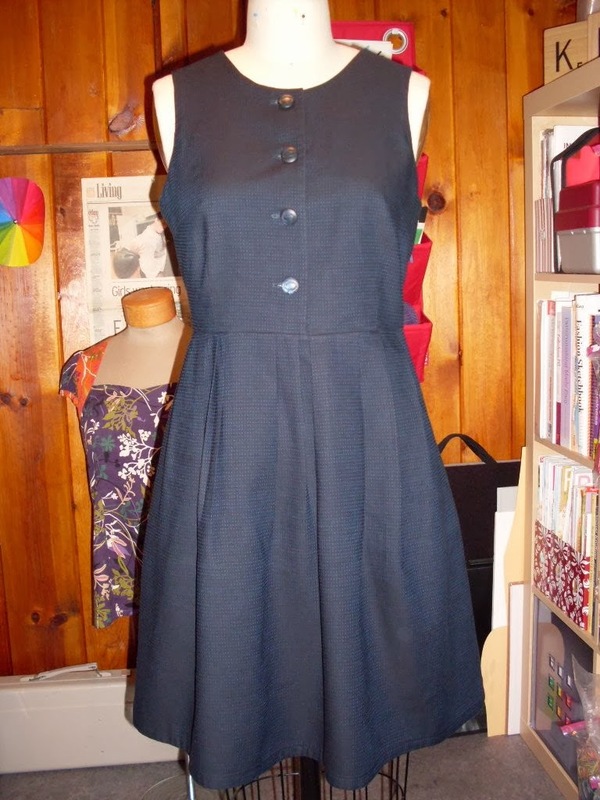 I finished this sleeveless dress this morning. It's Simplicity 2215 by Cynthia Rowley. I used some smart looking navy dotted cotton from Bolt. The pattern was straightforward and really easy to sew. Some of the details that I love are the pleating, which is not evenly spaced or folded on the front or back, and the side seam pockets. 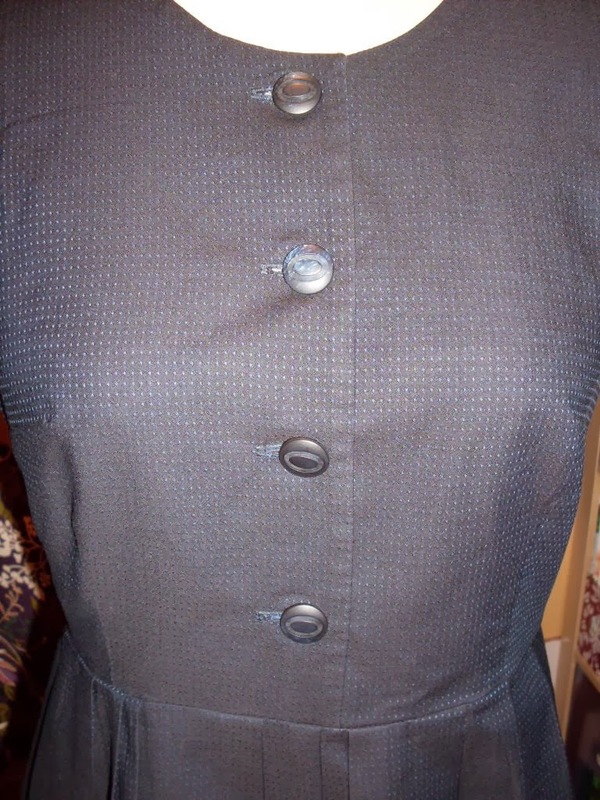 Modifications I made: I shortened the length of the bodice and the armholes. This will be a great transitional dress for spring layered with a tee underneath or a cardigan.